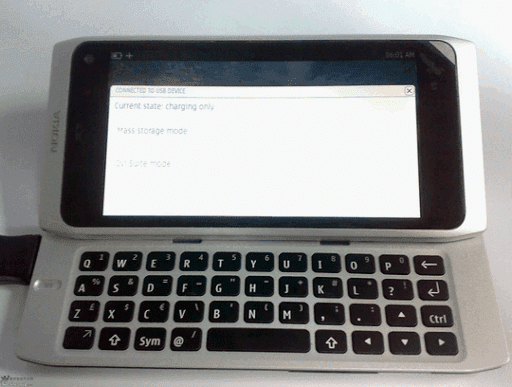 Nokia N9 MeeGo Smartphone Runs on Intel Atom Processor? More Leaked Specifications! We've got more leaked info about Nokia's yet to be announced flagship MeeGo smartphone. According to Processori, a reputable Finnish tech mag, not only will Nokia N9 be the company's first smartphone to run MeeGo operating system, it will also be the first phone to be powered by an Intel Atom chip! "We have hard data," according to N9 of the processor clock speed of 1.2 gigahertz, or it would be Nokia's fastest mobile processor to date. If the rumors are true, N9 beats to the table many "first". First MeeGo, the first atom, and hopefully the company's first LTE network, a working model. OK. That wasn't the easiest paragraph to read but we get the point. Processori also added that the phone will come with a 12 MegaPixel camera the "same" as that of Nokia N8 (We're not sure though if 'same' means similar lens and sensor or just the same pixel count) and that there's a possibility that it will be officially announced by Stephen Elop himself, Nokia New CEO, at MWC happening in Barcelona this February. I own a Nokia N900. I love the phone and I'm totally excited about this supposed next iteration to the device. Here's to hoping all these info turn out real because I really like what I'm seeing. Go Nokia!